Tridib Banerjee, Ph.D., has focused his research, teaching, and writing on the design and planning of the built environment and the related human and social consequences. In particular, he is interested in the political economy of urban development, and the effects of globalization in the transformation of urban form and urbanism from a comparative international perspective. 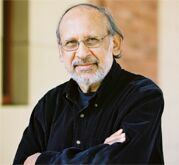 His current research includes implementation of smart growth policies, converting brown fields to affordable housing, designing for residential density and walkable communities, and transit oriented development. Read more.